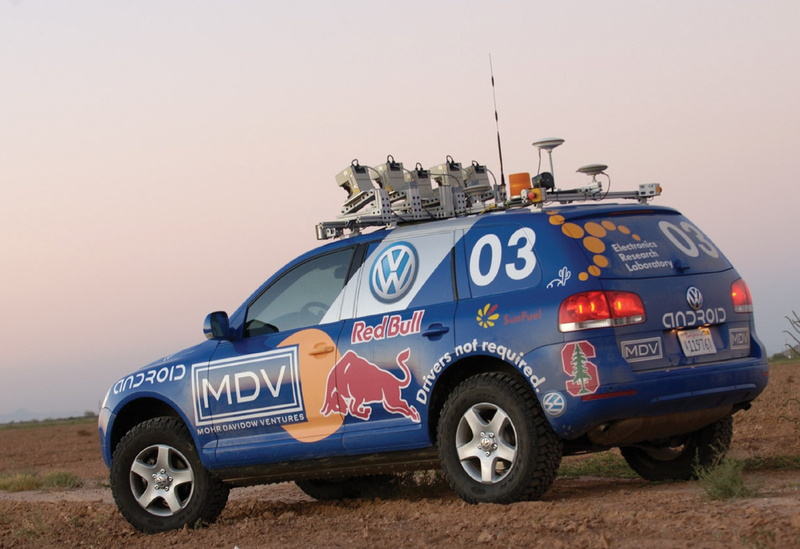 Stanley, an autonomous car developed by the Stanford University Racing Team, won the 2005 DARPA Grand Challenge after successfully traversing a 132-mile course. Photo courtesy of the Smithsonian Air & Space Museum. Also called “autonomous,” “self-driving” or “driverless” vehicles—automated vehicles use on board computers to take over at least part of the driving task. The potential exists for such vehicles,. 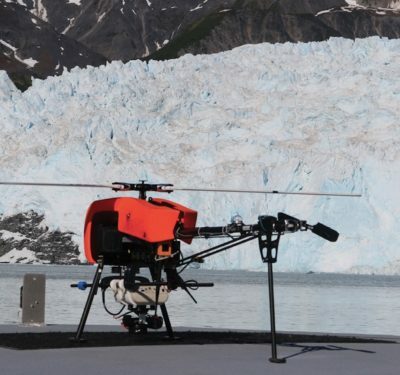 equipped with satellite navigation and other positioning technologies, to track. their own location and find their way once a passenger enters a destination into the navigation system. After that initial human intervention, the vehicle cannot only determine t he best mute hut also drive. there. by applying propulsion, brakes, and steering and avoid obstacles using sensors, such as laser, radar or camera systems. While the idea of letting a computer do the driving is attractive, there own still many unknowns. Not only are there questions about the need for extensive infrastructure that will likely limit everyday adoption, it’s also difficult to predict how these vehicles will mix with human-driven cars, and how consumers will weigh the high cost of this convenience along with security concerns when deciding if a self-driving vehicle is right for them. Given these unknowns, the reality of how automated vehicles will change the driving experience may not line up with the vision of driverless cars seamlessly weaving their way through traffic—at least not right away. It’s exciting to think about all the possibilities automated vehicles bring—even if they’re only taking over part of the driving task. Their benefits are many, and include safety, efficient, mobility and convenience. These automated cars carry the potential to reduce or even eliminate human error, taking some of the risk out of driving. More than 34,000 people die in road traffic accidents every year in the United States and human error is at least a contributing factor in 95 percent of road vehicle accidents, according to statistics from the Federal Highway and National Highway Traffic Safety Administrations. Transferring part of the operations—such as automated lane keeping or automated vehicle following—to computers could lead to fewer accidents. Computers don’t get distracted, sleepy, or incapacitated like people do. While most drivers are good at resolving unforeseen situations, such as navigating an unknown street or avoiding a new obstacle, they often struggle with maintaining a smooth, efficient traffic flow or keeping a short distance between vehicles. Computer control can help ens me the vehicle maintains ideal speed and spacing for optimal traffic flow and energy efficiency. Not only can automated vehicles potentially improve traffic safety and efficiency hut, because driving aids compensate for sensory or motoric challenges, they may give individuals physically unable to drive added mobility. Automated vehicle control also makes it possible for drivers to pursue other activities, such as writing, reading, or simply relaxing and watching the scenery, instead of dealing with annoyances such as stop-and-go traffic. Many industry and university players are working to further improve on-vehicle technology, related highway infrastructure, and to holistically understand respective human, societal, environmental, and legal implications. Car manufacturers and major component suppliers have demonstrated research vehicles that can—without human intervention—drive in gridlocked traffic and handle challenging situations such as swerving around an obstacle or safe cornering even on vety low friction surfaces such as black ice (within the limits of physics, of course). Some were even able to find a parking spot after the driver exited the vehicle. These research programs are often pursued in industry-academia collaboration as the universities bring in their expertise in computer vision, machine learning, and vehicle control. Over the last 35 years the results of these collaborations have led to driving aids that warn and inform the driver (e.g. navigation system, parking assistance, lane departure warning) or assist the driver in dangerous and tedious situations (e.g. 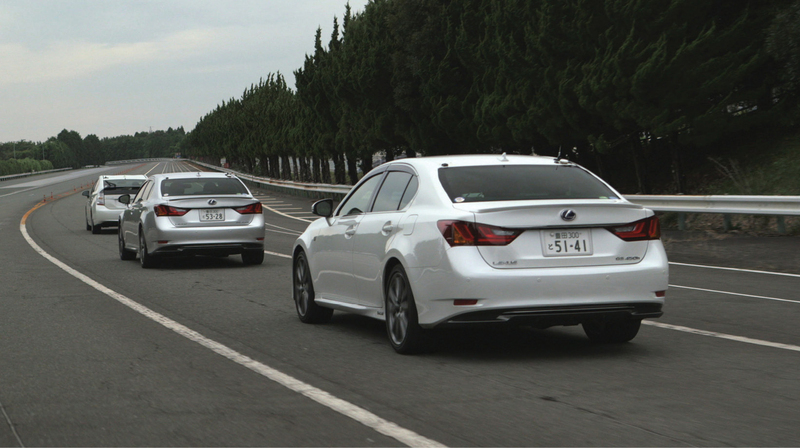 antilock braking system, lane keeping assistance, automated emergency braking). Such systems are evolving, allowing steering and velocity control to combine for driving aids such as traffic jam assist and automated parallel parking. The next steps include concepts that allow these vehicles to drive on highways without human intervention, which might require a certain communication or roadway infrastructure. 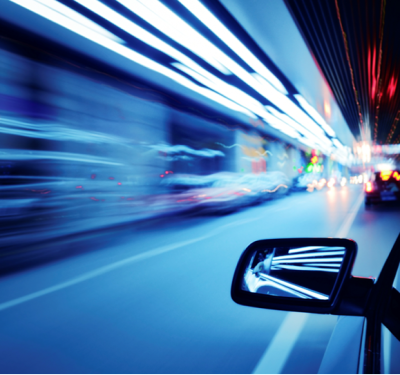 At the same time new players, such as IT companies and technology startups—often in collaboration with or supported by universities have designed vehicles that are equipped with sophisticated laser vision systems and camera technology that feed into artificial intelligence units, automating the entire journey—shaping a completely different paradigm for driving. The vision for automated driving seems clear: humans are taken out of the loop, a computer controls the automobile as it automatically proceeds to the desired destination, and the driver enjoys a relaxed or otherwise productive commute with an unprecedented level of safety. However, while realizing such concepts might be technically possible, the existing system presents a formidable challenge to making this vision a reality. The current traffic pattern in the United States for example, consists of 250 million human-driven vehicles, whose operators don’t always behave rationally and legally, but instead often behave erratically. Unexpected situations on the road, such as pedestrians, animals, fallen objects, or detours and maintenance, make it difficult to pre-program the vehicle path and pre-determine vehicle behavior for all scenarios. Imagine situations where other vehicles don’t come to a complete halt at a stop sign, a ball rolls on the road, or lane markings are missing or changed. These situations make it clear that humans, with their experience, instinct, and pattern recognition, have skills essential for navigating today’s traffic that are difficult—if not impossible—for a computer to acquire. So, while conceivably not impossible, releasing the human from all wiving tasks might take much longer than current demonstrations suggest. Automated vehicles present a paradigm shift in the way we drive, and even if the technology is there, consumers will need to buy into the concept. Although many people may be willing to spend thousands of dollars for the conveniences these vehicles provide, safety concerns may keep them from adopting the new paradigm. Opinion surveys, for instance, suggest that consumers would be willing to spend several thousand dollars on systems that release them from the burden of navigating the vehicle through stop-and-go traffic or controlling it constantly on a long-distance journey. However, they may still find it difficult to trust a driverless vehicle completely, continuing to worry about potential system families, data privacy and cyber security. 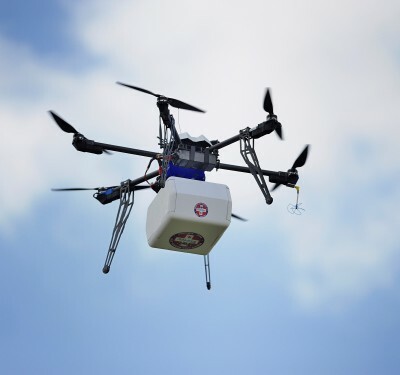 Automation has, however, become a reality in recent years for ground vehicles other than passenger vehicles, which created a learning opportunity. For instance, large-scale dump trucks in the mining industry haul ore out of surface pits without a human behind the wheel, and only remote operators can stop the vehicle in an emergency. Container carriers are operated in harbors in a similar way, while agricultural tractors collect crops from the (human controlled) harvester and discharge at the processing plant. Another interesting example of early-stage driverless vehicles is automated mobility-on-demand (AMOD) systems in pedestrian areas, amusement parks, or at airports. These vehicles, sometimes dubbed as “horizontal elevators” or “people movers,” operate on a fixed route. Passengers can call them to any predefined stop (e.g. “parking lot”) for a transfer to any other stop (e.g. “department store”). What do all these concepts have in common? The deployment area is either closed (i.e., no unauthorized humans or vehicles are present) or limited (i.e., the operating area is precisely determined and pre-mapped), and often a communication infrastructure is established so vehicles can be halted in an emergency. Because of these conditions, and also because of the relatively low speed of the respective vehicles, such scenarios do not directly apply to the self-driving passenger vehicle vision. Nonetheless, with such examples, industry and government can develop and test safety measures that can move us further toward a wider adoption of automated vehicles. Full automation isn’t the only option, and several organizations, including the Society of Automotive Engineers (SAE)International and the U.S. National Highway Safety Organization, recently proposed definitions for various scenarios from “partial automation” in which a human monitors the vehicle at all times, through “conditional automation,” when the passenger/driver must be able to take over during an emergency, all the way to “full automation” (vehicle drives by itself in all situations and can handle all emergencies). These deployment scenarios show the path toward automated passenger vehicles is a longterm evolution rather than a near-term revolution. Scientists, engineers, businesses, regulators, and in the end consumers, will face many questions that, today, have no clear answers. Research still needs to determine whether automated vehicles will blend easily into the existing mix of human controlled vehicles, the infrastructure needed to enable a high level of vehicle automation, and if consumers will ever be able to trust automobiles that drive themselves. And while it is not clear if mainstream consumes can afford these vehicles, the sales proposition also largely depends on how much additional mobility and convenience consumers can really enjoy in a “partially” or “highly” automated version. The answers to these questions might prove that today’s vision of self-driving cars could be very different from tomorrow’s reality of automated vehicles. But it seems certain that future vehicle technology will deliver on the promise of safer, more efficient traffic—it’s just a matter of how and when we get there.